A wedding limousine is a must if you want your special day to be as majestic as possible. Why drive yourself? Or take a cab? Let a chauffeur drive you in a luxurious vehicle around Toronto so that you can relax. However, with so many limo companies in the city, how do you know which one to trust? How can you determine which service is ideal for your needs? Carefully look over a company’s fleet to see what kind of vehicles they offer. Limos come in all sizes and models, with seating capacities ranging from four passengers to fifty. Do you want one for just the bride or groom? One large enough for the immediate family? Or a full-size limo bus that is big enough for the entire party? Consider getting a rental service contract. You should get everything in writing as soon as possible. If the chauffeur and the limo don’t arrive when promised, how will you get to your wedding? Make sure you know exactly what you are paying for and that the company is reliable. Liability insurance is also something a good limo company should have. Find out if gratuity is included in the price or if you are expected to tip your driver. Find out how long the company you’re interested in has been in business. A company that has been around for a long time is ideal. Also, inquire about their hiring practices. You don’t want just any driver for your wedding. Your chauffeur should have training and experience with weddings, and should know proper etiquette – especially when dealing with the bride. Price is obviously an important factor. 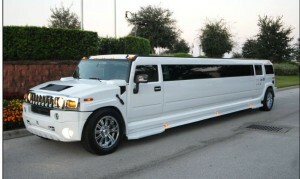 Limo companies price their services and packages in different ways. You might be able to find a good deal on an all-inclusive wedding package. Some companies will allow you to mix and match services and features from different packages. Don’t automatically go with the cheapest package since it might not include everything you need. You can’t take any chances when it comes to your wedding day. If size isn’t a factor, consider the style of the limo you want to arrive in. For a traditional wedding, you might want to go with a vintage limo. For a contemporary wedding, there is always a sleek hummer. The Lincoln town car stretch is the best option if you want a classy, luxurious experience. Look for reviews/testimonials from previous customers. Did everything go smoothly? Did the driver show up at the scheduled time? Was the ride pleasant and comfortable? Did the customer arrive at their destination safely? Book as far in advance as possible. Even a large limo company with many vehicles in its fleet prefers bookings to be several weeks in advance. It’s recommended that you begin searching for limo wedding services at least six months ahead of time – especially if you are planning a large wedding and will require multiple vehicles. Keep these factors in mind when choosing your wedding limousine. If you are planning your wedding in or around Toronto, Majestic Limo Services is a good, reliable choice.